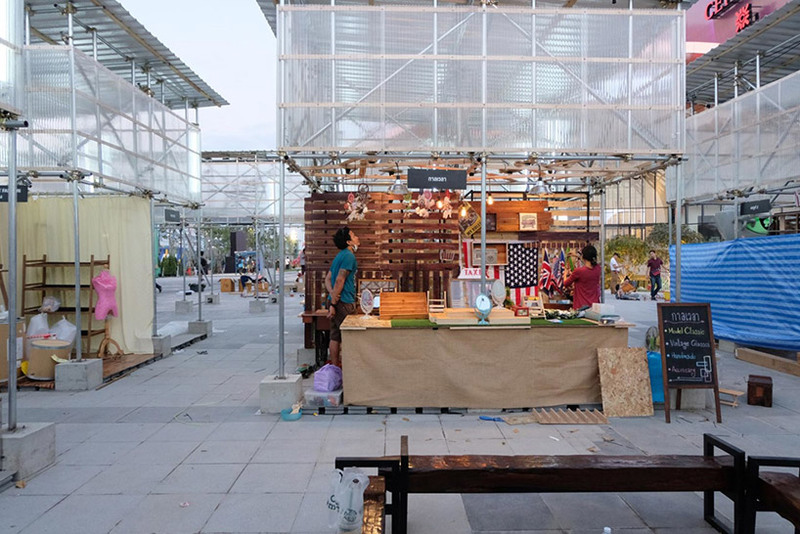 designed by bangkok tokyo architecture and OPH, the dadad market is situated in front of a local mall in nakorn ratchasima, some 250 km northeast of bangkok. 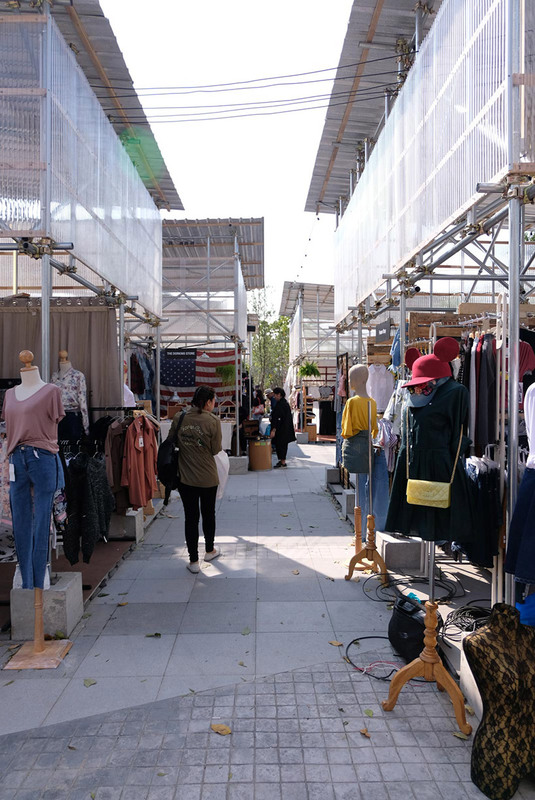 the market, which offers a diverse array of goods, takes its name from dadad — meaning various or plentiful in northeaster slang — and captures the essence of this temporary fair that serves as a gathering spot for locals and youngsters alike. 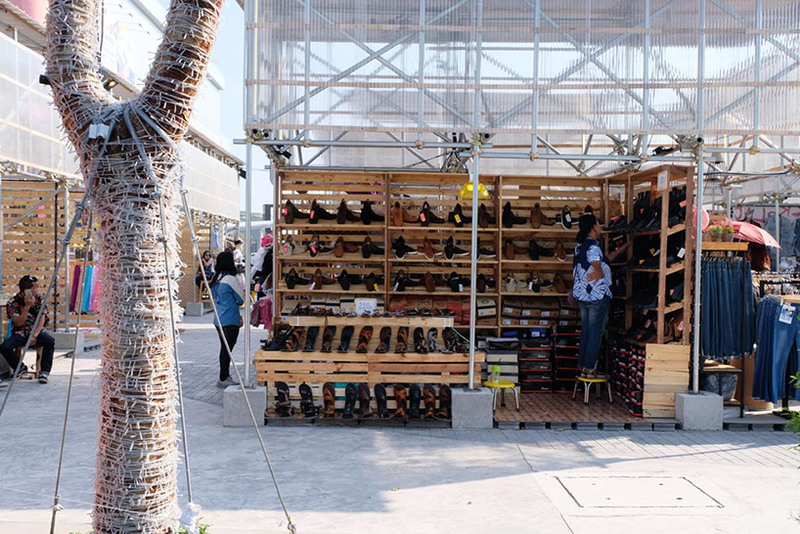 in thailand’s hot climate, after the sun falls and the heat fades, the streets come alive with colorful lit tents and food stalls of local merchants. 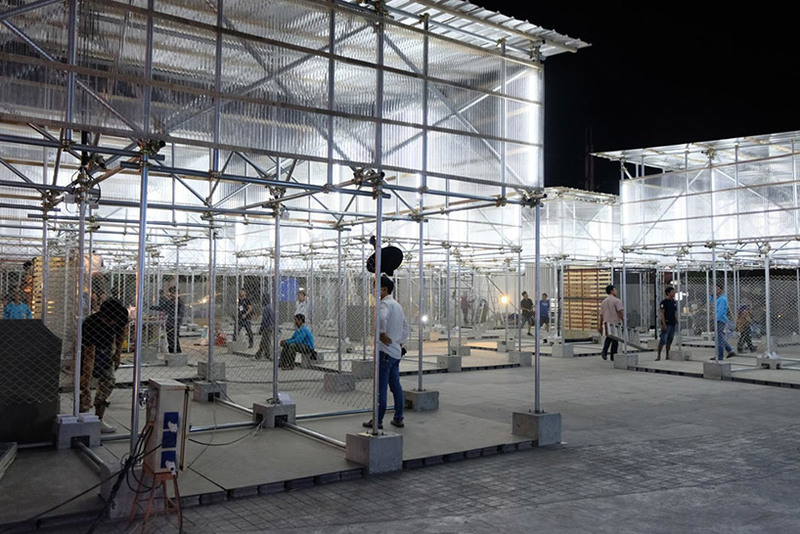 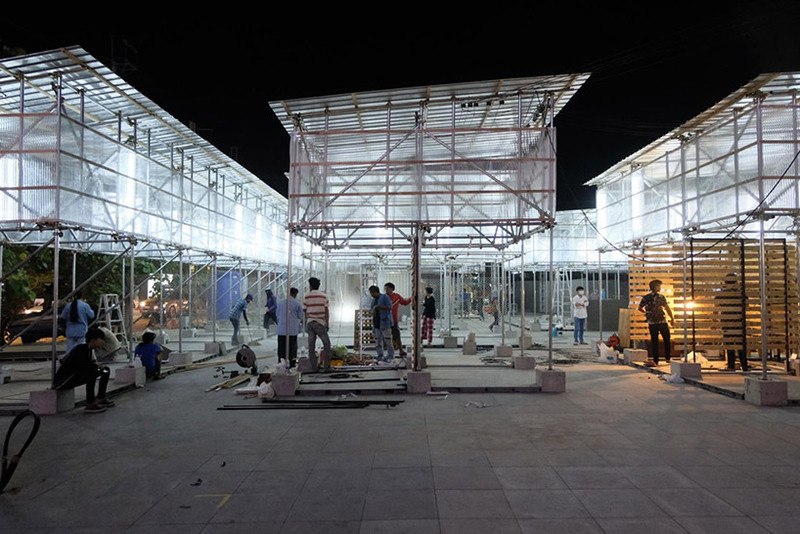 the dadad market by bangkok tokyo architecture and OPH celebrates this spontaneous phenomenon, creating floating structures of light in the night-time cityscape. 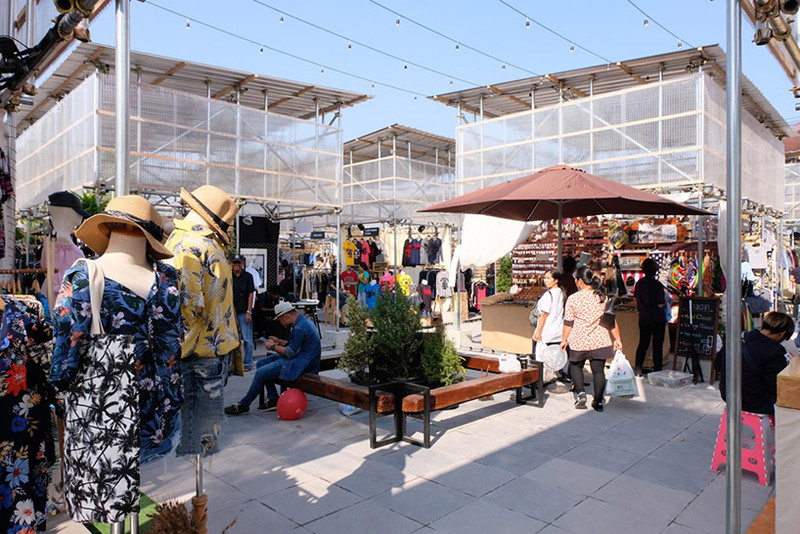 these vivid constructions signal and attract customers from a distance while showcasing the eclectic merchandise and movement underneath it. 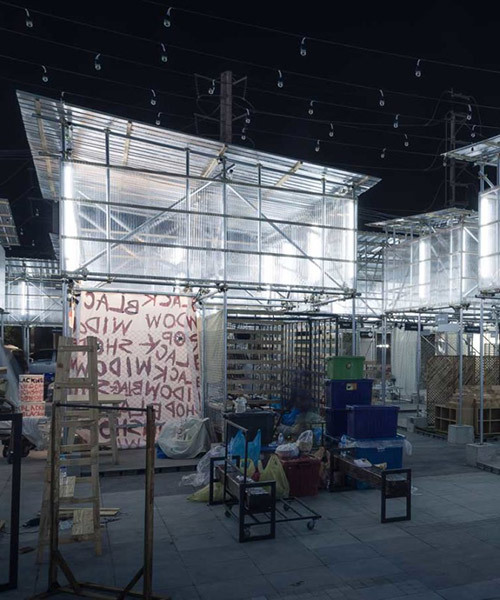 consisting of repetitive pipe members and clamps similar to those of the typical scaffolding system, the structures can be easily dismantled and reassembled. 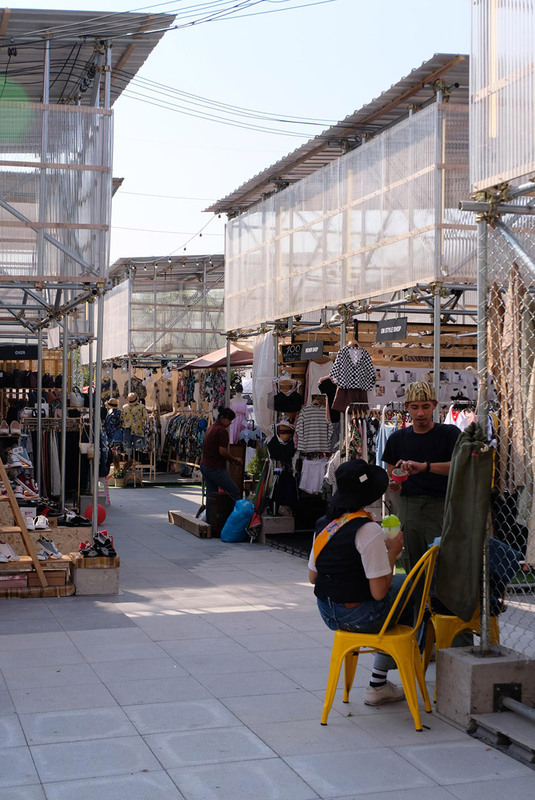 the simple frames in a check-board layout result in a microcosm of little plazas and alleyways accessible from many directions and easy to navigate for the visitors.